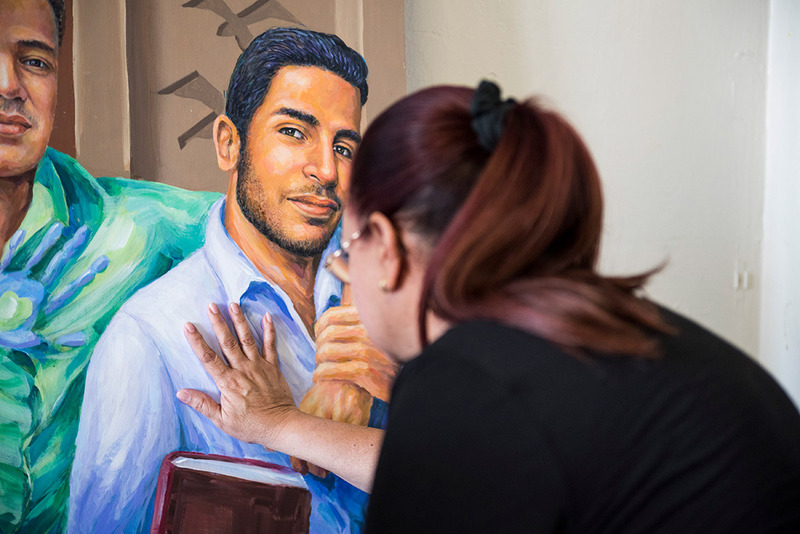 One year after the tragic event, UCF paid tribute to the 49 people killed on June 12, 2016, and unveiled a mural dedicated to the two Knights who lost their lives. 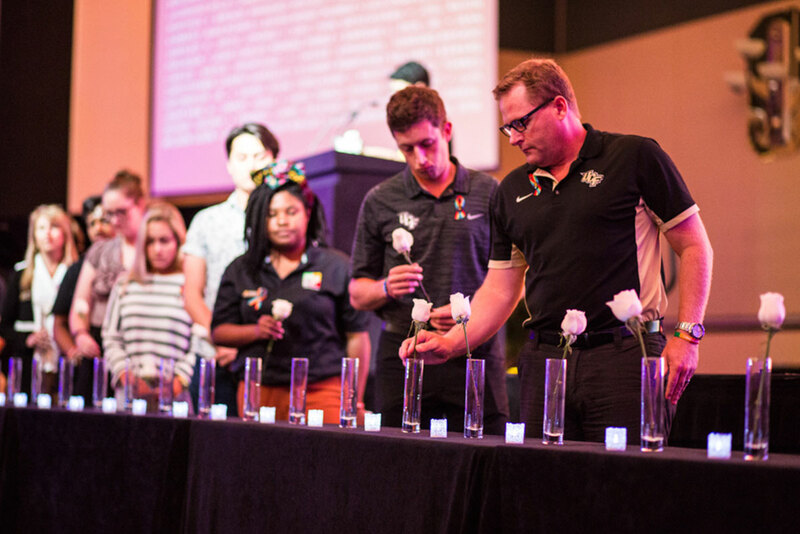 On June 8, 2017, UCF paid tribute to the 49 victims of the Pulse attack through a blood drive, an art exhibition and a remembrance ceremony. 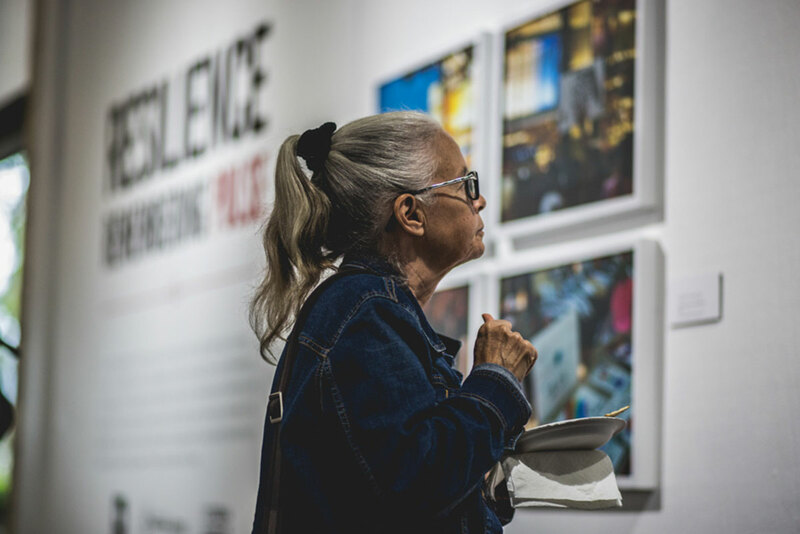 Pulse owner Barbara Poma ’90 spoke at the opening reception for Resilience: Remembering Pulse at the UCF Art Gallery. 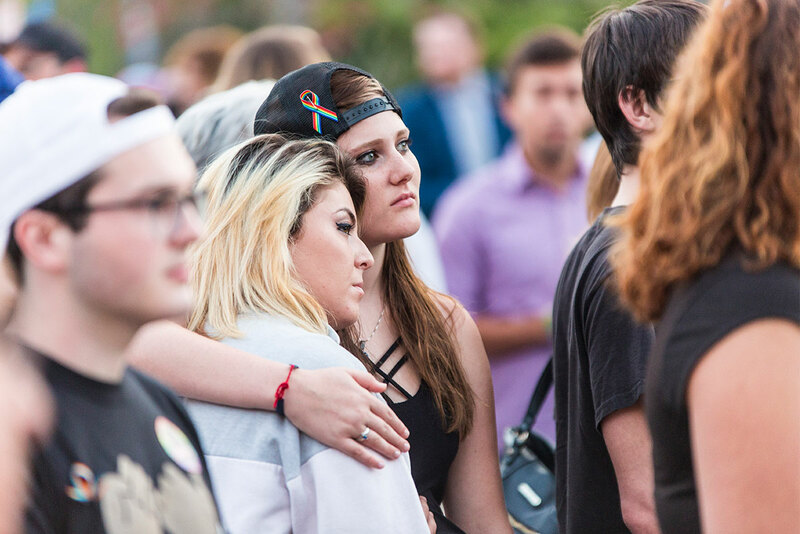 During the memorial ceremony “UCF Remembers,” President John C. Hitt and others emphasized the need for inclusion and equality both on and beyond campus. 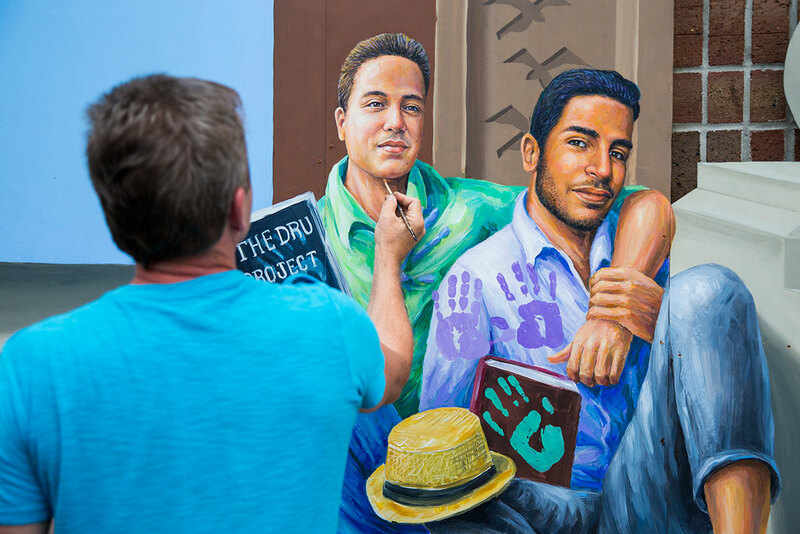 The events concluded with Rep. Carlos Guillermo Smith ’03 introducing a new mural, located on the Student Union, that memorializes Juan Ramon Guerrero and Christopher Andrew “Drew” Leinonen ’07 ’09MA, two Knights killed on June 12, 2016. 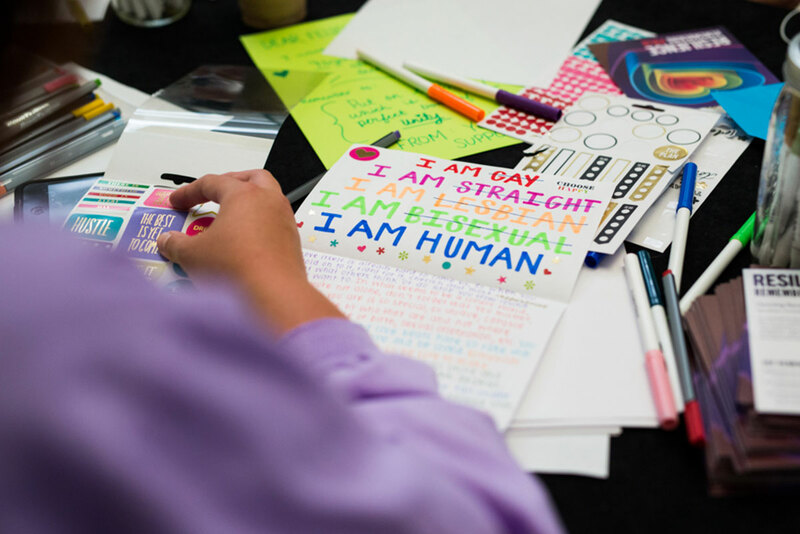 Students, faculty and staff wrote 73 “To Knights, With Love” notes that were placed throughout the Pegasus Ballroom. 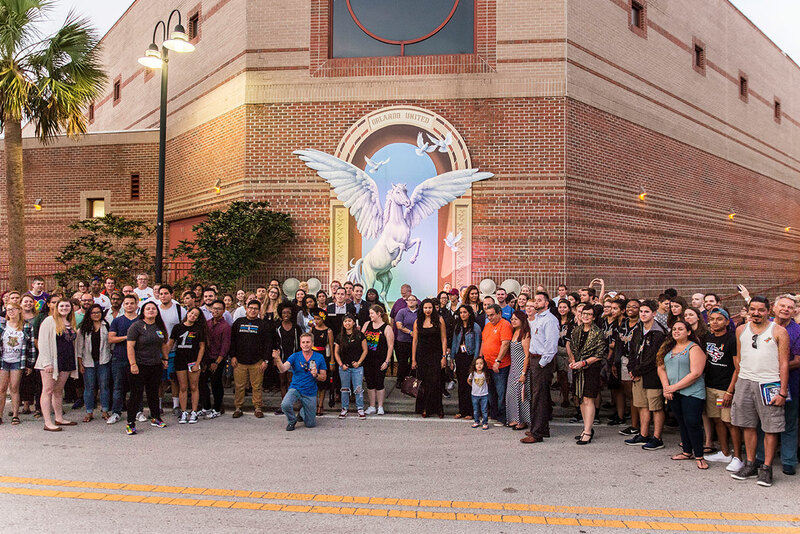 The opening reception for “Resilience: Remembering Pulse” was held in the UCF Art Gallery. 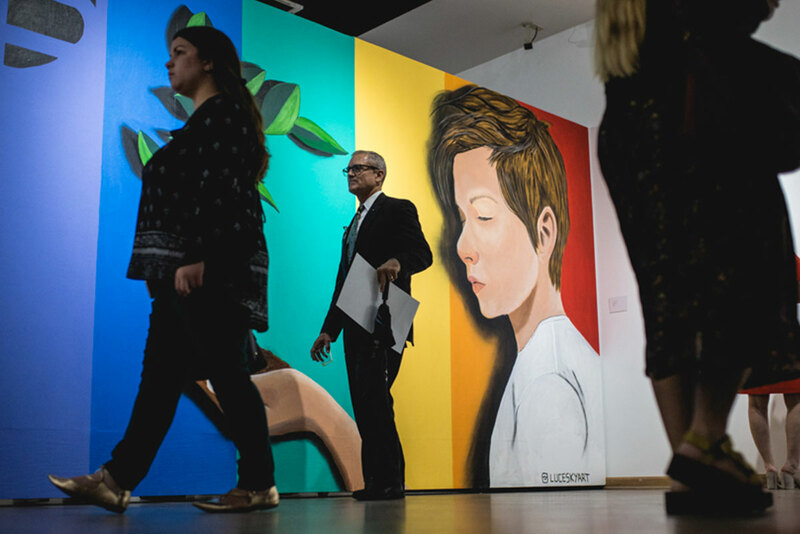 The exhibition, which ran throughout the month, included 80 pieces of art, including photos, quilts, painting and more that honored the victims and the LGBTQ+ community. 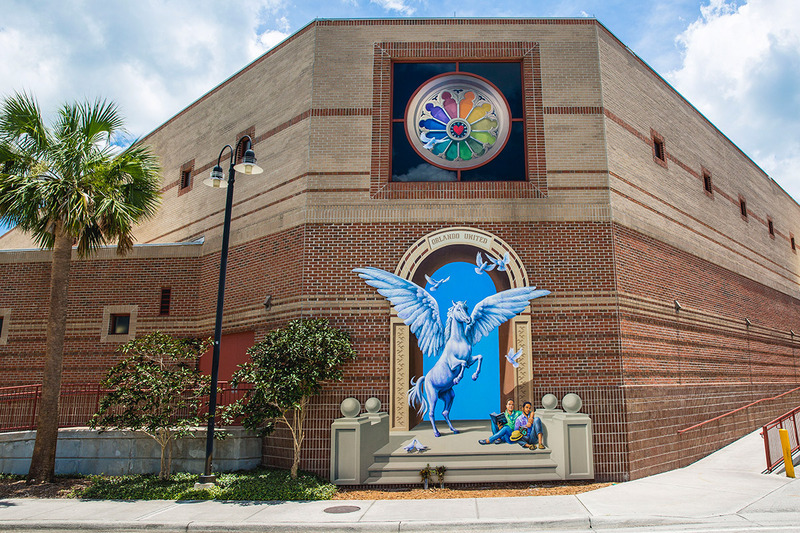 Provost A. Dale Whittaker walks past “New Season,” a mural by Luce Sky. 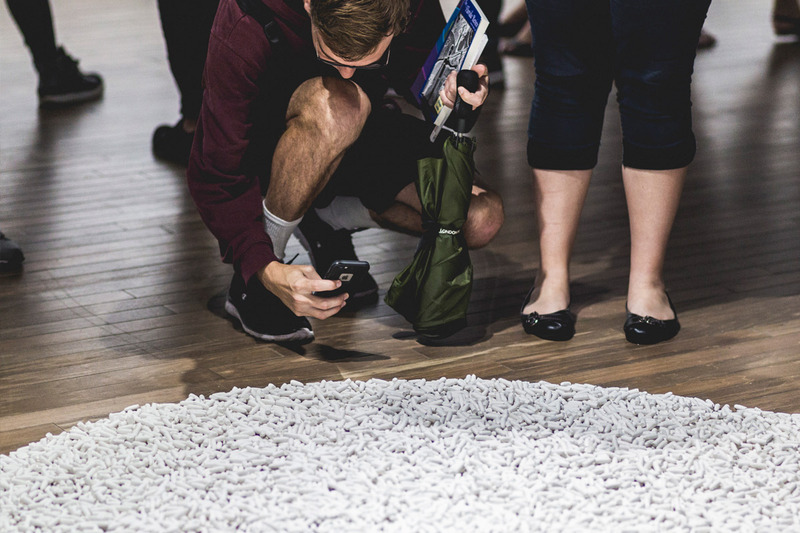 A patron takes a close-up snapshot of “Sentinel: Watching salt air push ships along the horizon, I see myself in you,” an installation by Matthew Mosher that features 15,070 9mm plaster cartridges, one for each gun-related homicide in the U.S. in 2016. Visitors view the mixed art piece “Understanding and Counseling the Homosexual” by David Matteson. 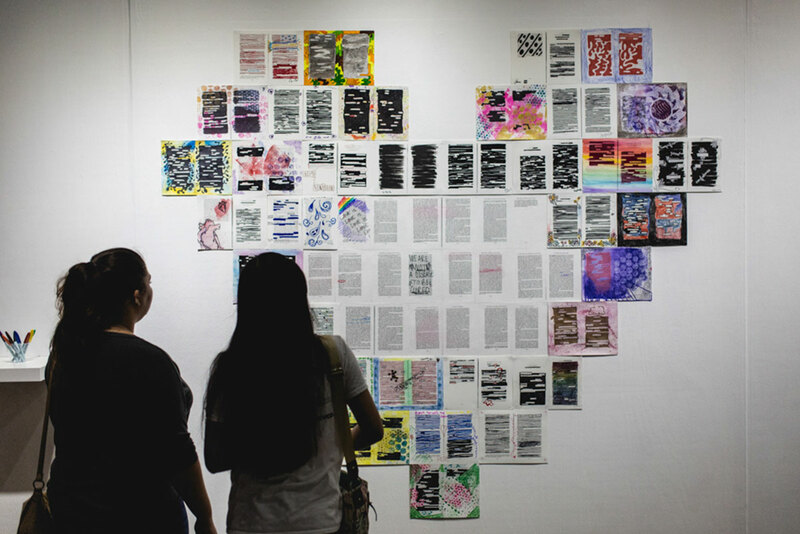 The heart-shaped installation invites viewers to redact pieces of the original 1967 text that uses discriminatory language while examining the psychological development of homosexual men. 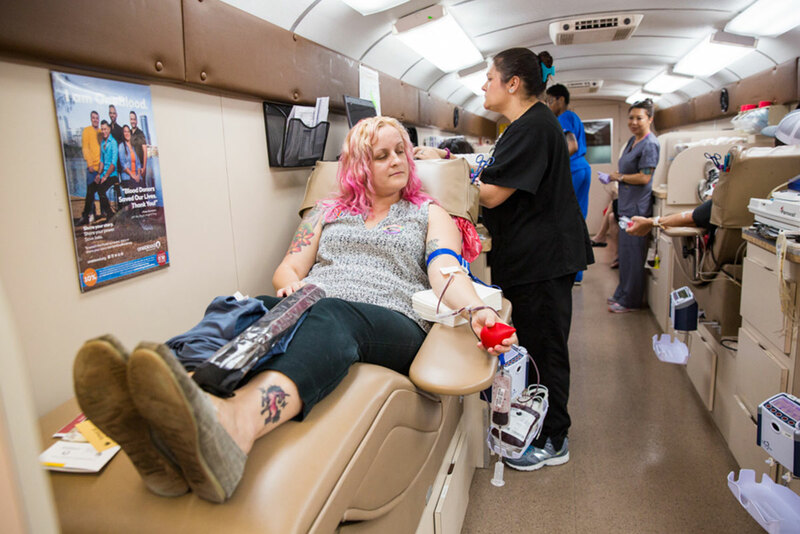 UCF Information Specialist Tairi Perez donates blood during the blood drive held on campus. The drive collected 217 donations. 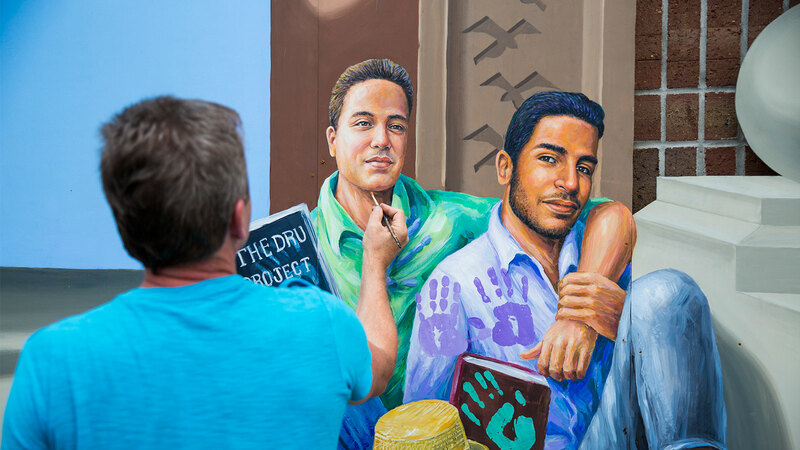 A tribute to Drew and Juan, who were killed at Pulse nightclub, this mural by artists Michael Pilato and Yuriy Karabash depicts the couple holding books to represent their time as students at UCF. 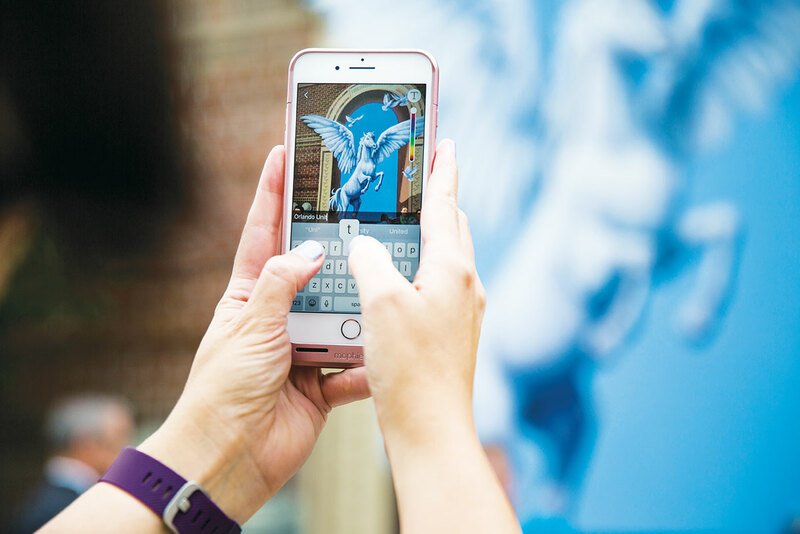 The mural also includes 49 birds, representing each of the people killed on June 12, 2016. 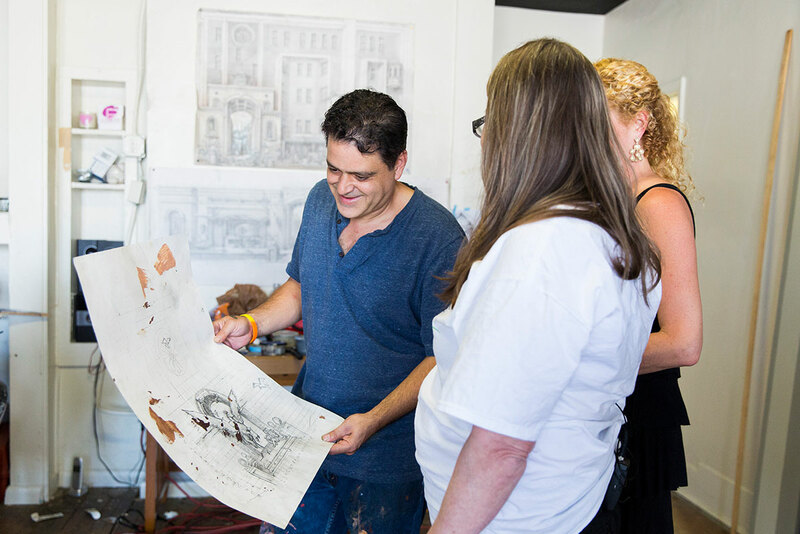 Artist Michael Pilato works with Christine Leinonen, Drew’s mom, at his studio. Christine Leinonen places a blue handprint over her son’s heart. 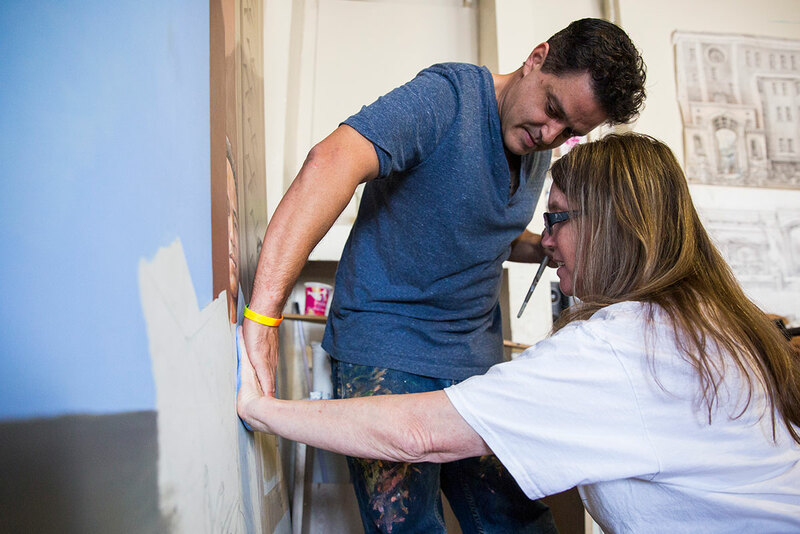 The artists worked with family and friends from both families to make sure their loved ones were accurately represented and to make them part of the artwork. 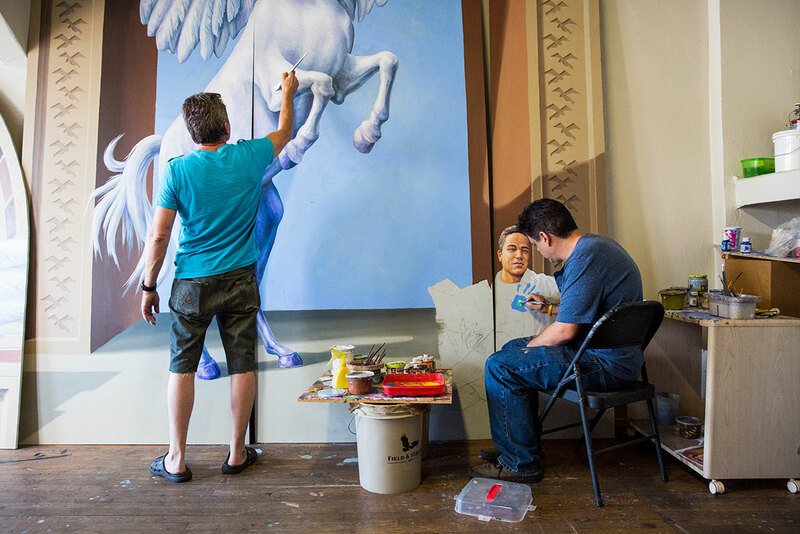 Artists Yuriy Karabash and Michael Pilato work on the mural in their studio. Mayra Guerrero places a purple handprint over her son Juan’s heart. Artist Yuriy Karabash works on some final details. 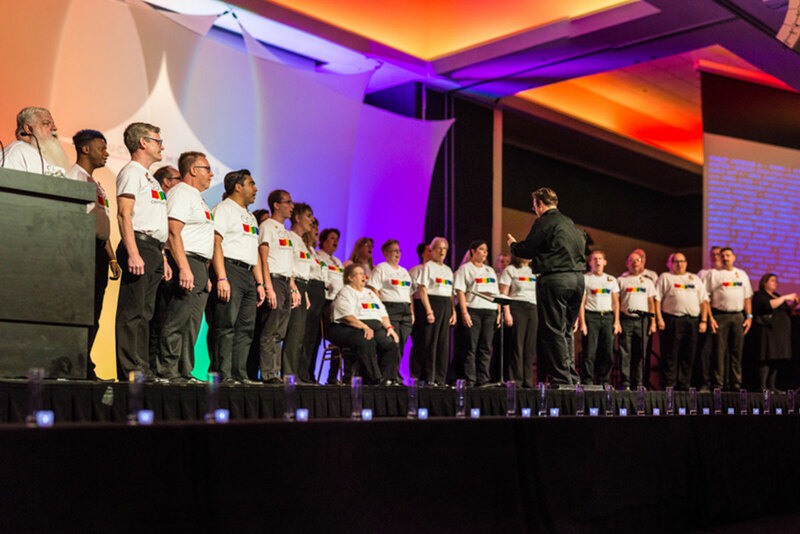 Thirty-four members of the Orlando Gay Chorus sang during the memorial ceremony in the Student Union. 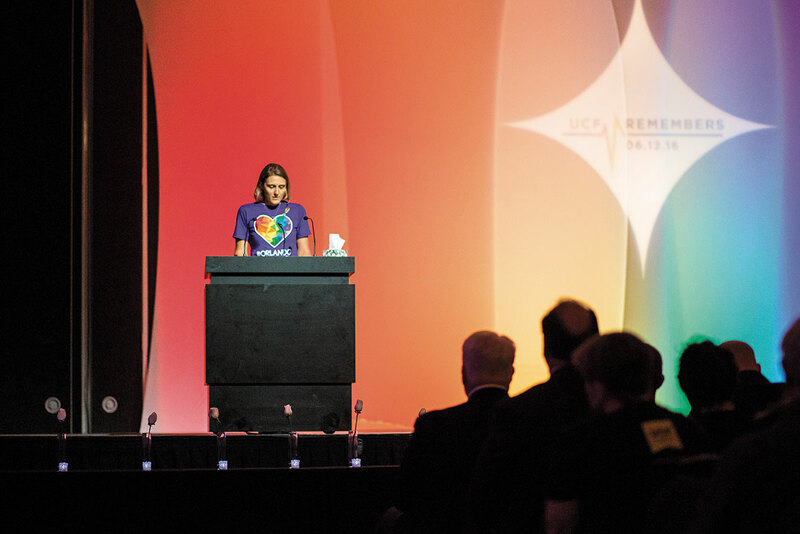 UCF User Engagement Librarian Carrie Moran, who is president of the UCF Pride association for faculty and staff, speaks during the memorial ceremony. 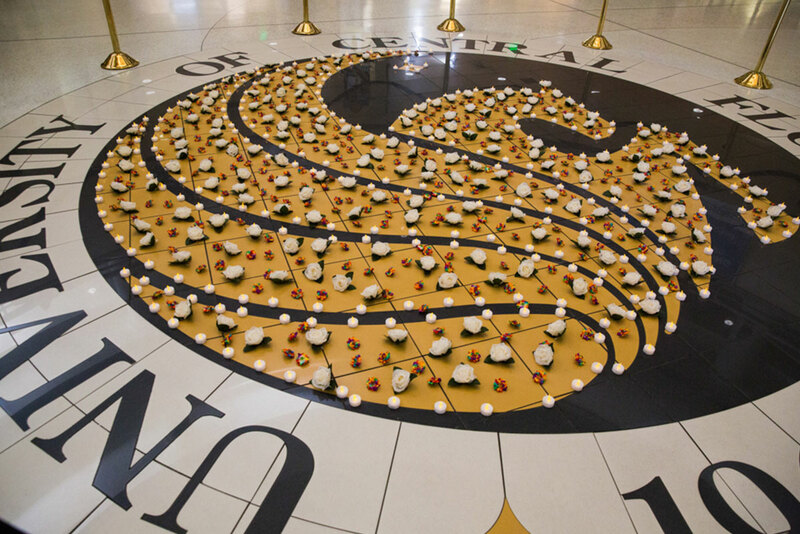 Members of the UCF community place a white rose in a vase for each of the 49 victims as their names are read aloud. 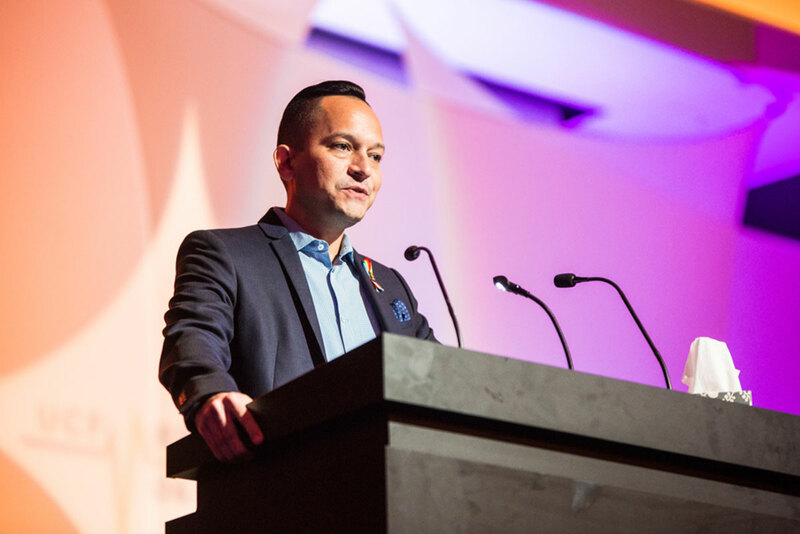 Rep. Carlos Guillermo Smith ’03, who played a key role in bringing the mural to UCF, introduces a video about the making of the Pulse mural. 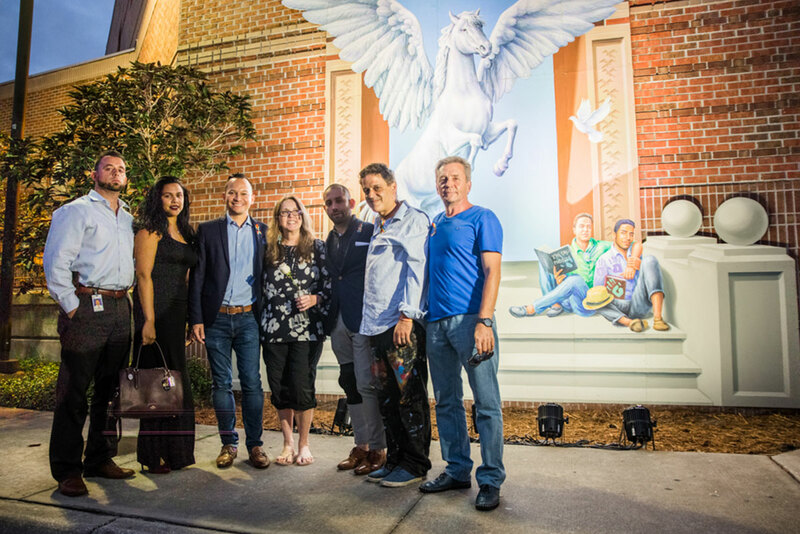 Eric Tharp ’02, Celia Ruiz, Rep. Carlos Guillermo Smith ’03, Christine Leinonen, Jose Arriagada, Michael Pilato and Yuriy Karabash stand in front of the installed mural.